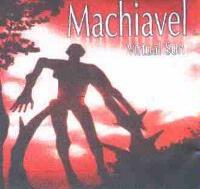 Virtual Sun is the latest by Belgian band Machiavel. It is definitely prog, but is also highly influenced by Zeppelin, and the dark side of music, somewhat in the vein of Marilyn Manson. This combination of sounds results in a mixture that is very compelling and entertaining. Machiavel is Mario Guccio, Herve Borbo, Roland De Greel, Thierry Plars and Mark Ysayo. For ordering, and other info, check out the band website at http://www.machiavelmusic.com. Dark, electronic gothic tones begin this number, which is rather spooky, and almost Mansonish at times. The chorus has a potent solid prog texture and is very catchy. This is a considerably effective track. "I Need You Until The End." The keyboard intro to this one is a bit creepy, but quite pretty. Nice acoustic guitar comes in to bring a balladic mode. Slowly building, this is in a moody and reflective prog ballad mode for quite a time. Then the cut explodes into prog metal sorts of tones. This one becomes Pink Floyd oriented at times and contains some considerably progish segments with a powerful chorus. "Something scares me, Something blinds me, Something breaks me." It also features a very strong guitar solo. Pretty and haunting piano begins this cut, which feels rather like jazzy prog. With an intro that feels a lot like a darker Genesis, this song is definitely prog. It does, also, feel quite a bit like Zeppelin at times, too. This is very strong progressive rock with a definite emphasis on the "rock". This is a considerably straightforward progish ballad. It is definitely a bit Genesisish, with a deeper pitched voice in a modern style. Starting with a feeling of prog wonderment, feeling somewhere between Genesis and Wakeman solo material, the track begins building from there. This brief cut is a number that just keeps building on the modes that begin it. The Rumour is a hard rocking, fast paced, metal cut, that feels just a little bit punkish. Pretty and intricate piano begins this one, which is a progish hard rock number with a very catchy chorus. It features a psychedelically textured segment and quite tasty guitar solo. 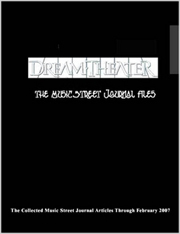 This one is acoustic guitar based, folky prog with a strong vocal arrangement. Strong progish hard rock with powerful vocals is a great description of this rocker. It gets quite hard and fast after a time. Psychedelic textures and wind begin this cut. It becomes bluesy rock then leads to more of the Zeppelin influenced prog. The psychedelic textures continue to pop up from time to time as this continues as meandering prog with strong rock tendencies.